A modern selection of the popular Pinks Mammoth variety. It has a low seed count and excellent natural fruit set. This means that, unlike some other varieties, there is no need to laboriously hand pollinate each bloom to achieve a good harvest. Unpruned custard apples grow into very large trees. With dedicated, twice yearly pruning it is possible to restrict tree height and spread to 3-4m. 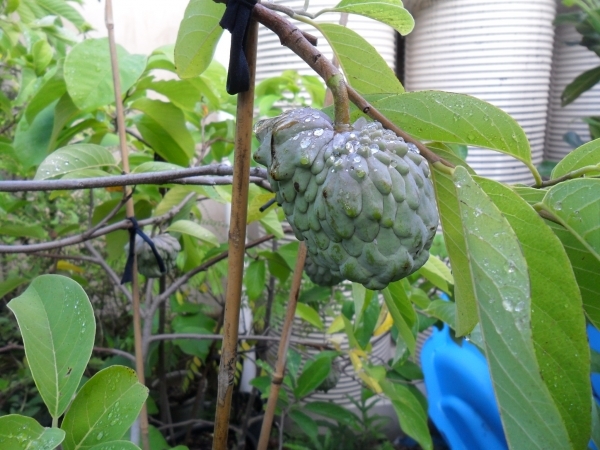 'Heavenly' best describe the taste of custard apple for me. Happy with the condition of the plant upon arrival. Big (about 1 meter high) lush and healthy. 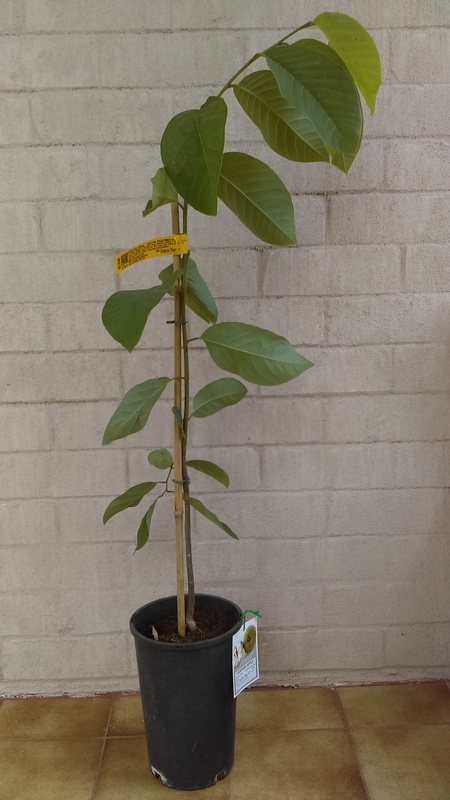 I hope it can cope well with the hot burning summer and cold frosty winter of inland NSW. I'm hoping the same for my African Pride variety. I will update at the end of summer next year. 21 April 2019, grown vigorously but, flowers didn't didn't turned into fruits. Hopefully next time when the tree is older.